Newington is a village and civil parish in South Oxfordshire, about 4.5 miles (7.2Â km) north of Wallingford. The Church of England parish church of Saint Giles was built in the 12th century, its transepts were added about 1200 and the west tower and spire were added early in the 14th century. Gilbert Sheldon held the living of the parish for a time in the 17th century. Sheldon also simultaneously held the livings of Hackney, Ickford, Buckinghamshire and Oddington, Oxfordshire. After the Restoration of the Monarchy, Sheldon was consecrated Archbishop of Canterbury in 1663. The Manor House was built about 1664, and a third storey and a Corinthian porch were added to it in about 1777. The former Rectory, now Beauforest House, is a Georgian house of five bays built about 1774. Archaeological work was carried out in the grounds of Newington House in the early 1980s and the latter half of the 2000s revealing extensive medieval occupation including at least one smithy. Some residual Roman pottery was recovered from medieval pits, indicating that there may have been a Roman farm or similar in the vicinity. Newington is approximately 5km from the Roman town of Dorchester on Thames. The earliest in situ remains comprise evidence for post-Conquest plots dating from the late 11th and early 12th centuries. These may have been agricultural enclosures, such as paddocks, but were probably laid out as house-plots for tenants. By the early 12th century, it appears that a smithy was built within one of the plots, followed in the 13th century by a larger smithy built on stone footings. This smithy was in use until the 14th century when it fell into disuse. Whether smithing was carried out elsewhere in Newington - there is a 14th century reference to Andrew le Smith from the attached hamlet of Brightwell (probably Brightwell Prior) - is still unknown, but by the 15th century the plot where the smithy formerly existed had been dug over and used for the disposal of rubbish. 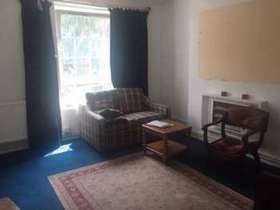 Good size one double bedroom property within small ex local authority building. 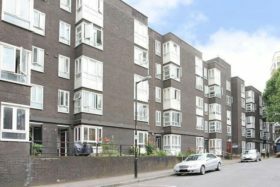 The property is ideal for first time buyers and buy to let investors due to its fantastic location. The property is in need of modernization.